1 janvier 2006 à 08:34 450 × 300 (3 Kio) Zscout370 The flag ratio back in the 1600's was 2:3, not 1:2. 12 octobre 2005 à 06:16 1 000 × 500 (2 Kio) Hoshie The pre 1801 Union flag. The original flag is from the [http://www.sodipodi.com/clipart/flags/uk.svg 1996 Sodipodi flag collection]. Colors have been improved from [http://www.vexilla-mundi.com/united_kingdom.htm vexilla mundi]. 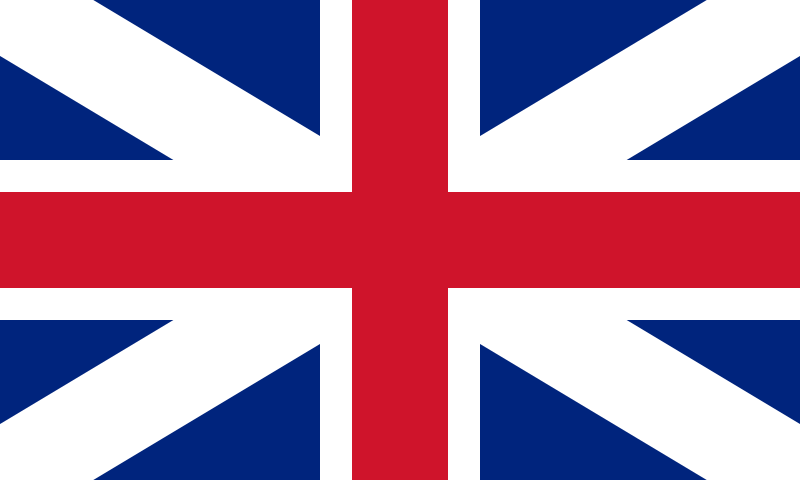 Ce document provient de « https://fr.wikipedia.org/wiki/Fichier:Flag_of_Great_Britain_(1707–1800).svg ».